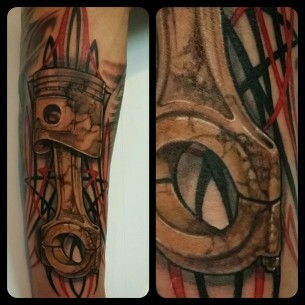 Among all of the ideas created under the influence of the technological progress, piston tattoo is a stands separately. 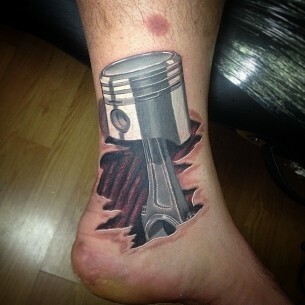 No matter how one treats the tattoo art in general, no one would ever say that pistons as tattoo ideas aren’t splendid. 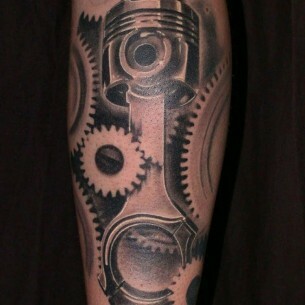 They in some way pay a tribute to the Internal combustion engine – one of the greatest inventions of the mankind. 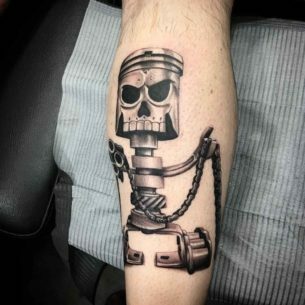 Plus, such tats can easily specify the occupation of their owners or say that these people have at least something to do with cars, motorcycles and stuff. 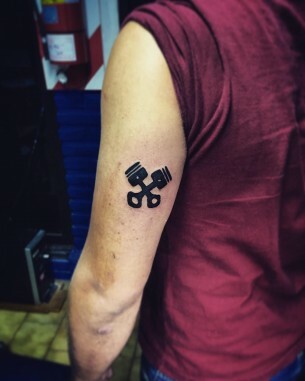 They can easily show, what the tattoo owner is fond of and one of their main features is that they give +9000 of masculinity and brutality to their male owners. 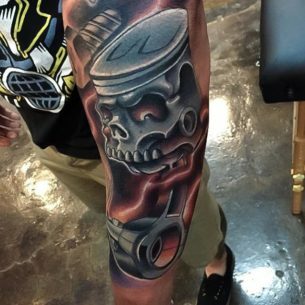 A piston tattoo is a typical representative of the biomechanical style. 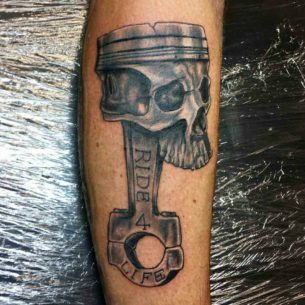 The design is usually performed in order to look 3D with a skin ripped off and the piston exposed as a functioning body part. 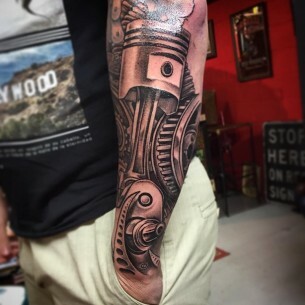 They are often accompanied by other mechanical elements like cogwheels and other machinery in such designs. 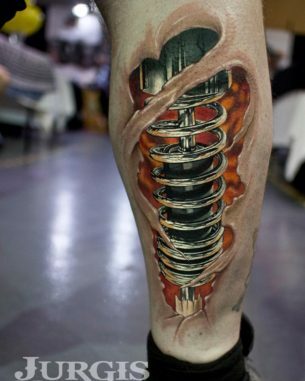 In this case, the whole idea looks purely biomechanical and awesome. 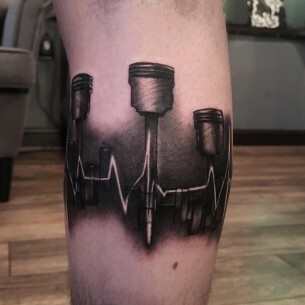 However, the symbol in the tattoo art appeared right after the internal combustion engine became a rather common thing and, for example, car racing became a separate kind of sports. 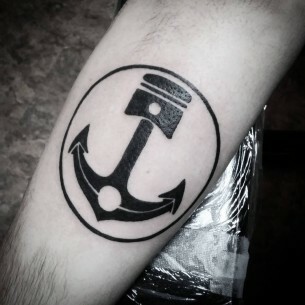 So, the meaning of the symbol mentioned gained its direct associations with high speed, power, and danger. 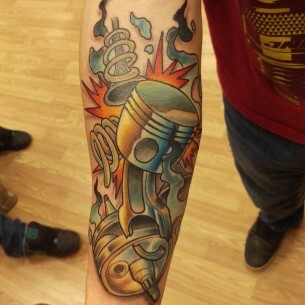 There are a lot of traditional and old school tattoos found. 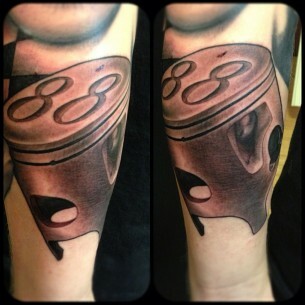 For extra brutality, a piston can be decorated with a skull, flames or a chequered flag. 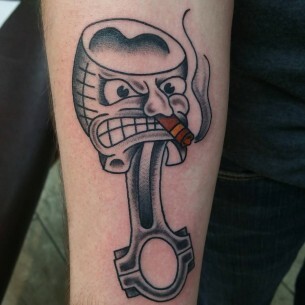 Such traditional and old school tattoo design are rather common and look quite cool nowadays. 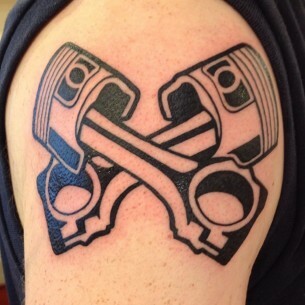 The other thing is a crossed pistons tattoo idea. 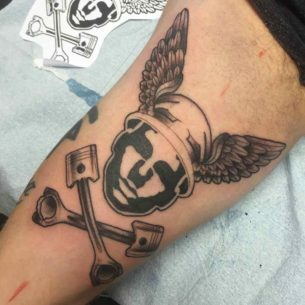 This is basically a remake of a traditional tattoo idea of crossed bones. 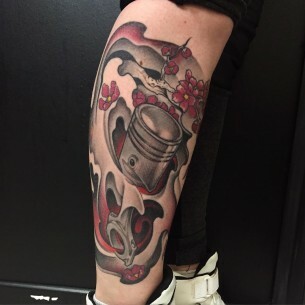 Other elements in tattoo designs of that kind remain mostly the same – skulls, hearts, roses etc. 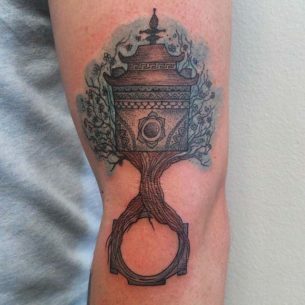 Modern tattoo art is characterized by an impressive fusion of styles, techniques, and genres that’s why it is hard to predict what kind of piston tattoo would impress you most, but all tattoo pictures collected here are worth checking out.